Over 10 long years since the year 2008 experience with impeccable record in villa sales and rentals in Sosua and Cabarete; that is the best motivator and guarantee for all our clients. This villa rental / travel guide is for the benefit of the traveling community that visits Sosua. All the listings we offer are photographed and filmed by our own crew. Always find our logo in our listing sites, to be sure it is our company you are dealing with. Sosua villa rentals have become a trend in the past 10 years, when the all-inclusive resorts were no longer the most attractive options for the traveler that has already seen it all. When we decided to open shop in 2008, still the market was virgin compared to today, giving us the chance to pioneer a higher level of services that today are seen as standard. 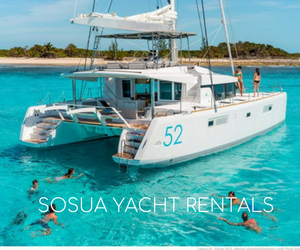 The social media accounts of this website are all promoting Sosua as a destination in general terms; because our philosophy from day 1 has always been to open Sosua to the world in the best possible way, not merely as a business seeking to take over advertising as a sole agent, but more as a mission to the local community. We hope you enjoyed our services and the Sosua Travel Guide in these pages, as they provide a free, no strings attached source of useful information on the best of Sosua.